The Seattle City Council has mandated that pistols that would normally be traded in when the police department makes upgrades will be destroyed. This boneheaded move which passed council with an unanimous vote will cost taxpayers approximately $30,000 according to the website Blue Lives Matter. What the Seattle city council is ignoring here is that guns are still being actively manufactured and sold. Destroying old guns doesn’t reduce the number of guns on the streets, it just increases the number of newly manufactured guns being purchased. The NRA is unlikely to oppose such a knuckle-headed policy, because destroying old firearms increases the profits of gun manufacturers. Gun manufacturers only make money on the first time that a firearm is sold. All used gun sales are potentially a lost sale to a gun manufacturer. If other police departments follow suit in destroying their used firearms, then you might want to look into purchasing stock in gun manufacturing companies. "Officer Blue" is making the common media mistake of thinking that the NRA is an agent of gun manufacturers. While they have good relationships with the manufacturers, it is not the job of the National Rifle Association to increase the profits of the firearms industry. That is the job of their trade association the National Shooting Sports Foundation. In reality, I think both organizations would oppose the destruction of these firearms. 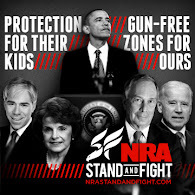 The NRA would oppose it as a matter of public policy as it recognizes that not all shooters can afford new firearms. Moreover, historically many surplus firearms such as M1 carbines were sold directly to shooters under the auspices of the NRA. The NSSF would oppose it because their constituency also includes FFLs as well as manufacturers. Nice information actually. Destroying old guns is not the solution for maintaining the number of guns or firearms in the country. This can simply promote its manufacturers. Controlled selling of firearms with proper verification and licensing can help us to solve this issue.